Yesterday, Antiochia reached an important agreement with VIRTLANTIS (http://www.virtlantis.com), a virtual Languages Education Community active mainly in SecondLife, to work together in order to help Antiochia Scholarship Trust Scholars acquire the English language skills they need before they arrive to Canada to pursue their studies. Sponsored by the Oxford School of English (http://www.oxfordschool.de), VIRTLANTIS has been active in SL for almost a decade and has developed a network of volunteer professionals specialising in providing, in particular, English language and culture workshops to anyone interested, free of charge. 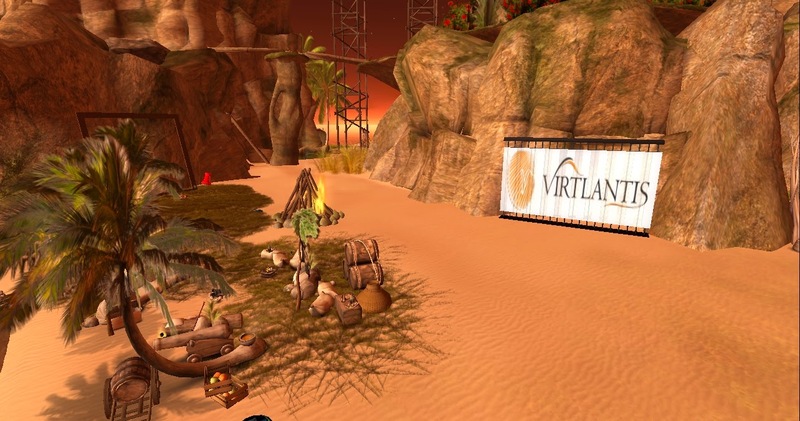 As AST Scholars will start to participate in AST's virtual home, Antiochia, they will be introduced to VIRTLANTIS members, will go through an individualised assessment period, and will then be provided with the necessary assistance to improve their English language skills, in preparation for their university studies in Canada. or contact in-world Kip Yellowjacket (kip@virtlantis.com). 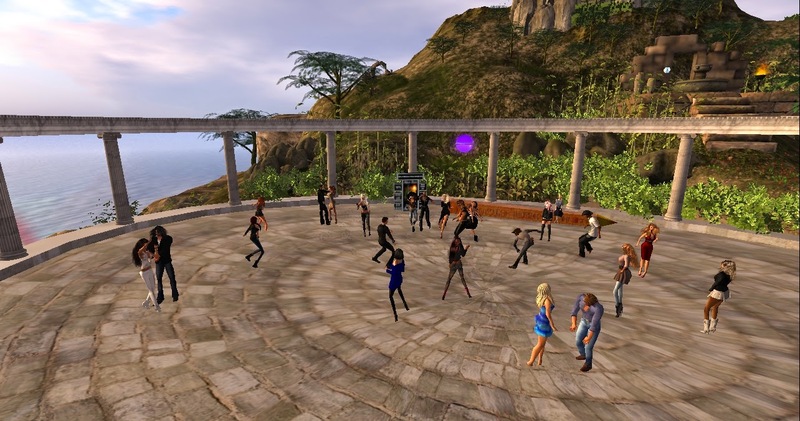 Antiochia is also offering, on a weekly basis, some of the best live music in SL. Latin Guitar player Joaquin Gustav and R&B Vocalist Mihaere Shamen now appear regularly in our main venue, Forum Valentis. 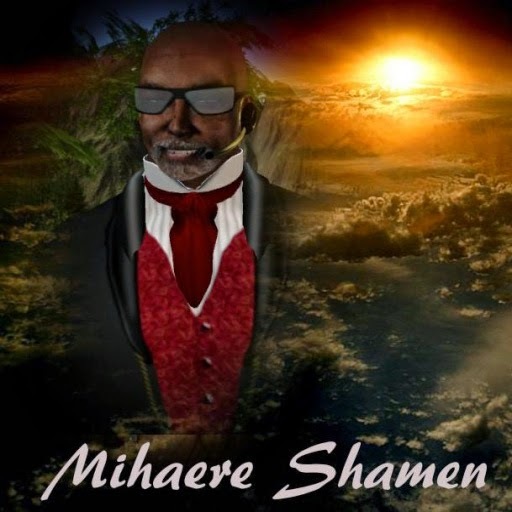 Please join us there next Sunday, January 25, from noon slt to 2 pm slt, when Rock and Blues dynamo Gweeb will start the party and will be followed by Joaquin Gustav and his amazing guitar. Due to Sandia Beaumont’s great success with her piano recital on the Opening Day of the sim, we now have dedicated an APA Piano Series, where in addition to Sandia’s French Flair, you will be able to enjoy the art of pianists Tip Corbett and Zachh Cale. 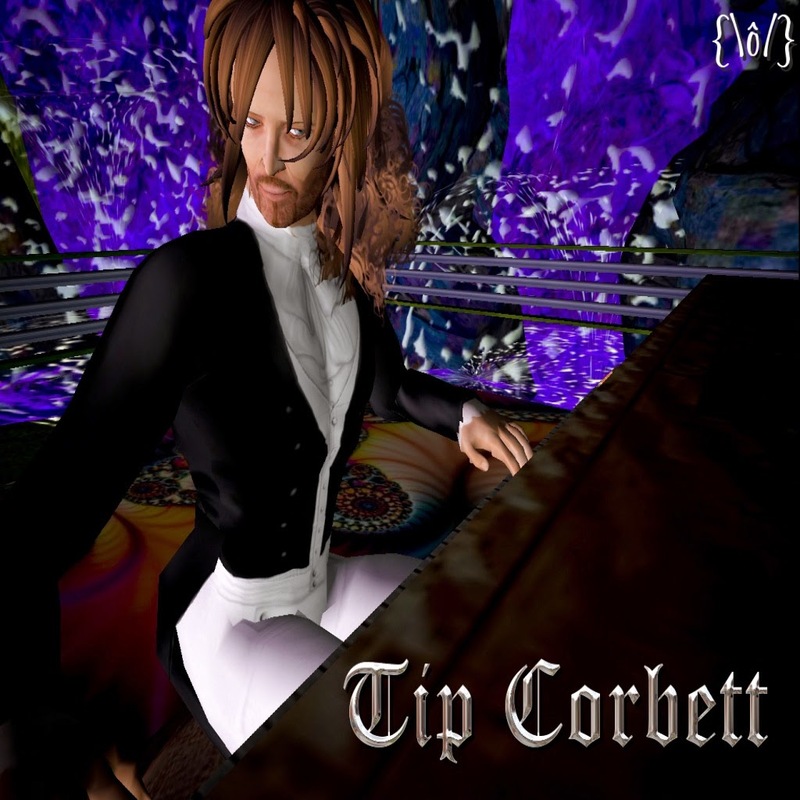 Tip Corbett (Gregory Hall in RL) has been performing weekly live concerts of classical/compositional improvisation in Second Life since March 2009. About the "Mysteria", his classical improvisations: "For many years I have striven to develop a style of classical improvisation. The art of improvising did not fare as well in classical as in popular and jazz musics in the last century. I am interested in helping to revive this lost art, once practiced by the great classical composers as readily as composition itself." Tip will be performing in Antiochia on February 1, at 11:30 am slt. Zachh Cale is also a veteran SL performer who in addition to his classical/pop mix piano selections, also has amazing vocals. More about Zach as we get closer to his performance date – March 8, at 1 pm slt. You can listen to excerpts of Tip’s music here (http://youtu.be/0_ia5EP66gE) and to Zach’s here (http://youtu.be/gsQVRxnTErY). 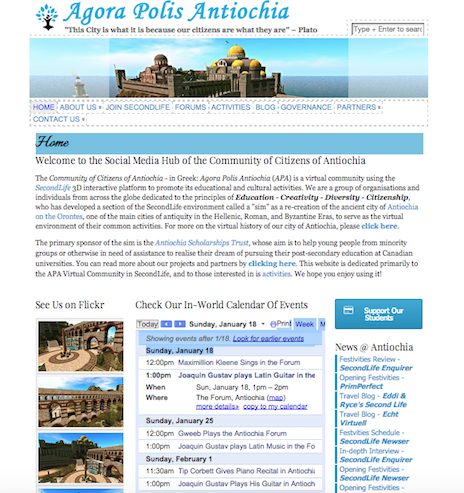 For further details about Antiochia’s events, please consult our website’s calendar here (http://apa.antiochiatrust.org/activities). Finally, we have just activated our community’s new website, which can be accessed here: http://apa.antiochiatrust.org . We hope you will find it intuitive, accessible, and informative. In addition to our events’ calendar, you will also find our pictures on our Flickr account, brief descriptions of all Antiochia partners’ activities, how to contact us both in the Real and Virtual Worlds, a fascinating history of virtual Antiochia from its origins in 5000 BC to 600 AD (the epoch the sim is situated in), as well as our community blog. Please bookmark it and consult it often if you wish to stay informed of our entertainment and educational activities. If you have any questions or wish to find out more information about us, our partners, and our activities, please contact in-world AlexOlteanu Unplugged or Bromo Ivory – or use the Contact Us section of our website to send us an e-mail. It will be our pleasure to get back to you within 24 hours.